Yesterday, I started talking about online businesses you could try to make some extra bucks so you can finally quit that job and start living large. Today, I will continue the post. So back to the list. If you are an expert in your industry, then you should definitely think of starting a membership site. A membership website is a site that offers “specific information” to people; all for a monthly recurring fee. A successful membership site can generate income monthly without you lifting a finger. One of the best online businesses you can start today is a blog. The downside of a blog is that it’s not a short term profit maker, but it can bring you fortunes and fame. Owning a blog network is definitely not an easy thing to do, but it can be done. However, it’s advisable you start from only one blog. Once your blog or blogs are up and running, you can enjoy steady streams of passive income. With the growing demand for software, applications and plugins; offering programming services is definitely a business to beat because of the steady demand. But a downside to offering programming service is that it requires specialized knowledge that doesn’t come easy. If you are patient enough to learn the ropes of programming; you are sure of a steady supply of contracts. Remember that Larry Page, Bill Gates, Larry Ellison and Mark Zuckerberg started out as programmers. Web copywriting is a service business you can start today and begin to make money because of insufficient copywriters on ground. Affiliate marketers and info product marketers will be your major clients because they are always on the lookout for possible ways to increase the clickthrough rate, subscription rate and conversion rate of their websites. If you have a passion for playing with words; then you can start a web-based business offering web copywriting services. The next web-based service business opportunity you can start today is to provide virtual assistance to web entrepreneurs. Your duty will be to carry out assigned tasks that your client considers cumbersome or not-too-relevant. Web design is an online service business that has been around for quite long; yet, the market is not saturated. With an ever growing demand for websites, forums and blogs; the momentum for web design services will never die down. To get started as a web designer, all you need are some artistic talents, programming knowledge and time. As you design your websites, you must ensure you build your portfolio and look forward to having additional clients through word of mouth. The battle to be on the first page of Google is getting hotter by the day. Companies are now paying huge sums of money to search engine positioning experts to help increase their PageRank. Do you know how to get a web page to rank in the top ten search results of Google? If yes, then you have a money minting skill on hand. Aside from providing search engine optimization services; you can actually build a successful business around this single service, big time. One of the most outsourced online business processes is content creation and written content happens to be one of them. In fact, ghostwriting as a service business is so broad that you can fill it all. Do you have a passion for writing? Then start a business offering ghostwriting services to individuals and companies. You specialize in guest blogging for clients, article writing, ebook writing or freelance writing. Do you have an eye for spotting grammatical errors? If yes, then you can make money online by offering proofreading services to online publishers. Just as businesses are bought and sold offline; so also are websites bought and sold online. You can become a website valuation expert and offer appraisal services to website developers (virtual real estate developers). Most blogs are hosted on Google’s free blogging platform Blogger, but bloggers are switching over to WordPress because of its usability and features. The only fear of moving from one blogging platform to another is that you may lose your content and PageRank. Most bloggers don’t want to go through this nightmare, so the reliance on blogger to WordPress service providers. If you can switch from blogger to WordPress and vice versa without a loss of PageRank or content; then you have a profitable business on hand. Web development goes beyond web design; it encompasses website critique, forum installation, eCommerce site development and specialized website building. This is a profitable business opportunity; though it’s capital and time intensive, it’s a guaranteed money maker. Do you know how to generate leads online? Then you can help businesses build their mailing lists. Most internet marketers attest to the fact that the money is in the list and they are willing to do anything to have this list. You can start a lead generation business and charge either per lead or on a bulk basis (per 1,000 lead). If you know your way around the web and you are good at digging up people’s profile, then you can become a contract staff agent to some companies. Your duty is to go online and search for the right candidates for specific positions within a company and the company will pay you when the hire is made. As a final note, I want it to sink into your skill that you can become a successful entrepreneur simply by taking advantage of any of the web-based service business opportunities listed above. All you need is the right knowledge, the right marketing skill and determination. Once these three keys are locked in synergy; the sky will be your starting point. A resume writing service can make a big internet home business, especially during economically difficult times and in areas where the unemployment rate is very high. 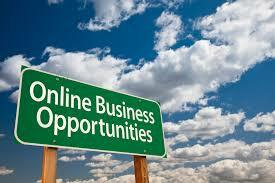 Assisting people to drive customers to their websites can be an excellent online business with strong profit potential. Doing business on the web is quite tough because things change so fast online so it will be your job to help the online entrepreneurs keep up with the ever-changing trend. Example of services you can offer includes pay-per-click (PPC) advertising services, blog marketing services, article marketing services, guest blogging, link building service, etc. There are lots of graphic designers on the web. So if you have the plan to succeed in this area online, serving a particular target audience will be your best friend. Suppose you are specialized in fashion and you have a good graphic design skill, you can try your hand at launching an online graphic design firm that focuses on graphic design for fashion designers. You can also choose to focus on infographic designing, ebook cover design, etc. 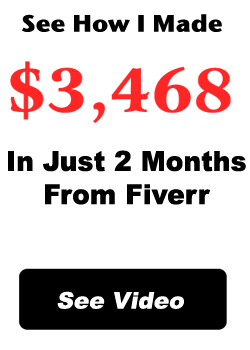 There are boundless opportunities on the internet and I believe if you try one of these for a year wholeheartedly, you will become an expert and start making cool cash. 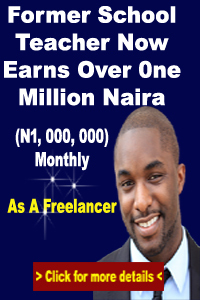 If you will like me to teach you how I make thousands with Affiliate Marketing then click here.